Rio Salado College | RioNews: Join Us for the 2016 HSE Graduation! 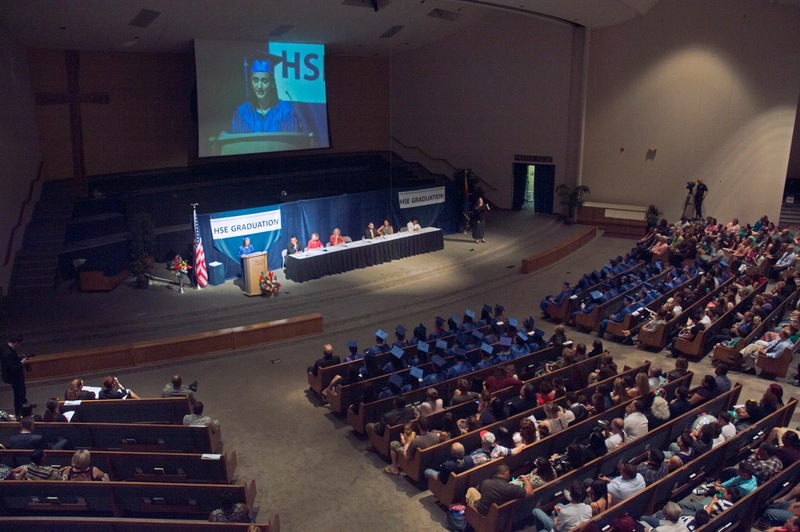 Join Us for the 2016 HSE Graduation! We look forward to this week's 2016 HSE Graduation ceremony to celebrate the accomplishments of students who have successfully completed Rio Salado's High School Equivalency (HSE) Prep program and passed the GED ® test. Thursday, May 26, 2016 beginning at 7 p.m. 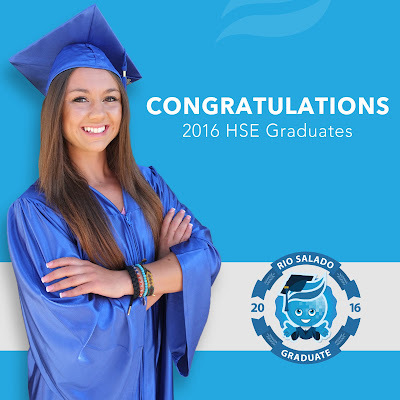 Graduates participating in the ceremonies must wear the official Rio Salado blue gown, cap and 2016 tassel. The graduation fee includes the cost of these items, as well as a diploma cover. GradImages™ will be taking photos, which you can purchase at a later time. We will provide updates when photos are available. Rio Salado staff photographers will also be taking photos, which we will post to our Facebook page for you to download and tag. DVD copies of the ceremony will be available for sale. The cost is $20 and must be paid at the time the order is placed. Cash and credit cards will be accepted. MCTV Cox Channel 115 will provide a live stream of the ceremony. Visit this page to tune in. Visit this web page to vote for, download and share your favorite grad badge. Join us on Facebook, Twitter and Instagram using #RioGrad to share your photos and stories.